Starting today, facebook has rolled out a new, simplified version of Messenger : Messenger 4. In a recent Messenger study, 7 out of 10 (71%) people told us simplicity is the top priority for them in a messaging app. Among people surveyed who are messaging more frequently, 62% say messaging makes them feel closer to their friends. To make it easier to find the features you care about, the new Messenger 4 will have 3 tabs instead of 9. Your conversations – both 1-to-1 and groups – are front and center in the Chats tab. 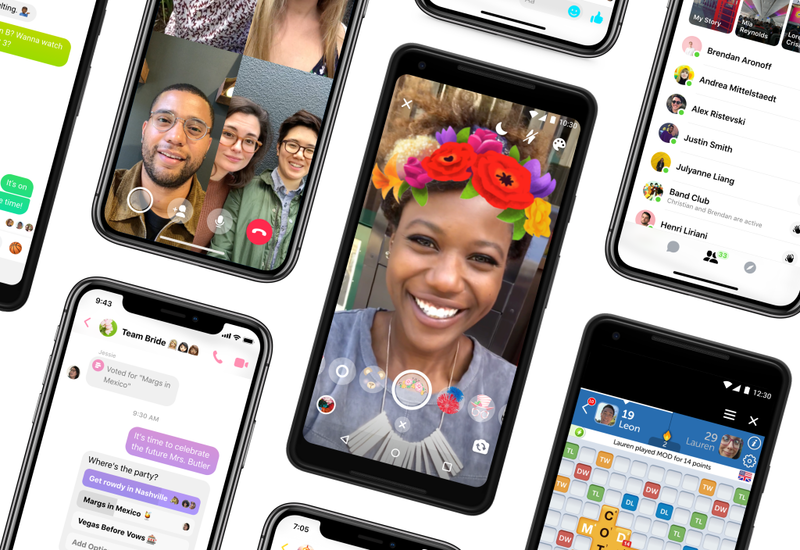 For 100 of millions of people every day who share pictures and videos, Messenger 4 will have visual communication features like Camera at the top so you can easily capture and share your pictures. Once you tap into Messenger 4’s People tab, you can find your friends, catch up on people’s Stories, and see everyone who is active right now. Then you have the Discover tab, where you can connect with businesses to get the latest deals, play Instant Games, book your next vacation, follow the news and more.